Blog Call for events for 2018! 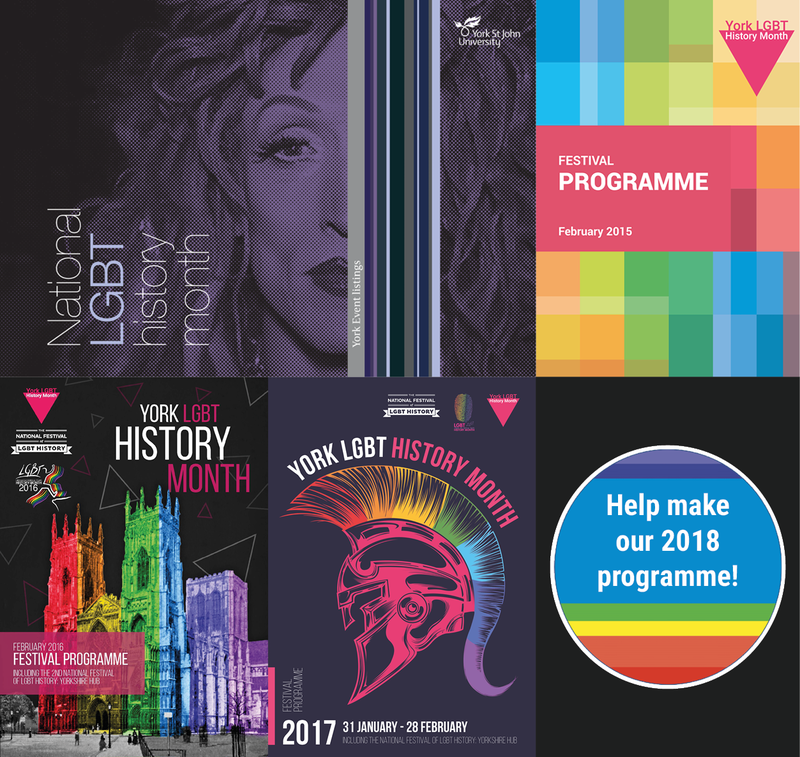 At York LGBT History Month we are now starting to compile our programme for February 2018. As ever, we need your help to make it happen! Last year’s programme featured around 50 events and with a greater diversity of subjects and voices represented than ever before. The programme included a very broad range of events including craft workshops, discussions, exhibitions, films, performances, exploration and commemoration of personal histories, a religious service, social occasions (with and without alcohol) and talks. We want to continue to bring a fabulous programme of local events and activities for the people of York and beyond. Could you be a part of this? The national theme for 2018 is geography. However, whilst events on the LGBTQ history of geography are encouraged, as always we welcome events regardless of whether they are on theme, and regardless of whether they provide a historical perspective. For inspiration, see last year’s programme on our events page and the 2014-2016 programmes on our previous years page. * By default we will include both your email and phone number in the programme to make it easy for people to contact you. If you do not want one of these listing, please let us know. Please submit your events using our online form. If you have trouble using the form, you can email us the details instead. We encourage you to get in contact before setting a time and date – if we can minimise clashes, we can enable people to make the most of the month and maximise attendance at each event! For now please try to avoid the daytime of Saturday 3 February and the evenings of Friday 2 February and Wednesday 28 February. Unsure about an idea for an event? No matter how big or small, quirky or conventional, we’d love to hear your ideas and are happy to act as a sounding board, provide advice and point you in the right direction as much as we can. A final note: if you have any photos from this year’s events, we’d be grateful to receive them!